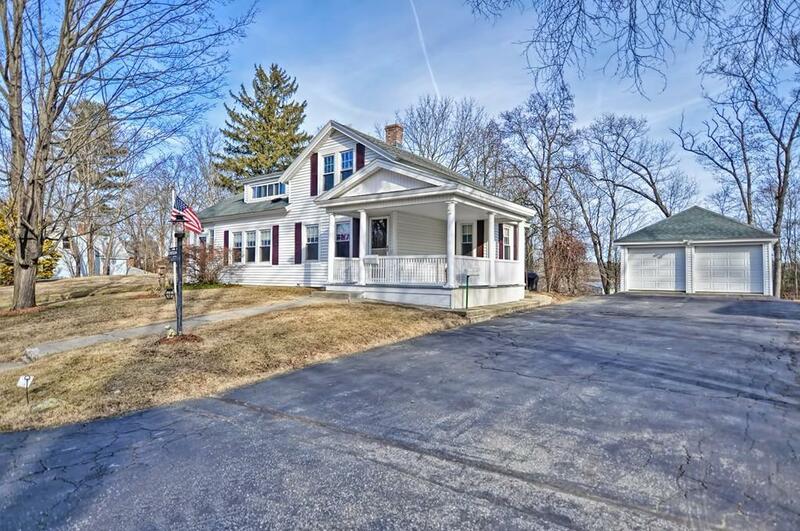 This well maintained older colonial sits on a large one acre lot with a 2 story, 2 car garage and additional storage shed. The farmers porch warmly greets you as you approach the home and is a great place to relax on a warm summer day. On the first level of the home you will find a living room, dining room and 2 bedrooms all with hardwood floors. Additionally there is an eat in kitchen and a full bath. On the second level there are two finished rooms which are currently unheated. There is a potential for additional living space by finishing a large unfinished area on the second floor. Many recent updates have been done including new furnace (2017), roof (2012), electrical panel (2014), oil tank (2011) and insulation by Mass Save. This adorable home has been loved by the same family for over 60 years with many amazing memories have been made during those years. It now awaits a new family who will make a whole new set. All offers, if any, are due by Monday 1/28 at 5pm.